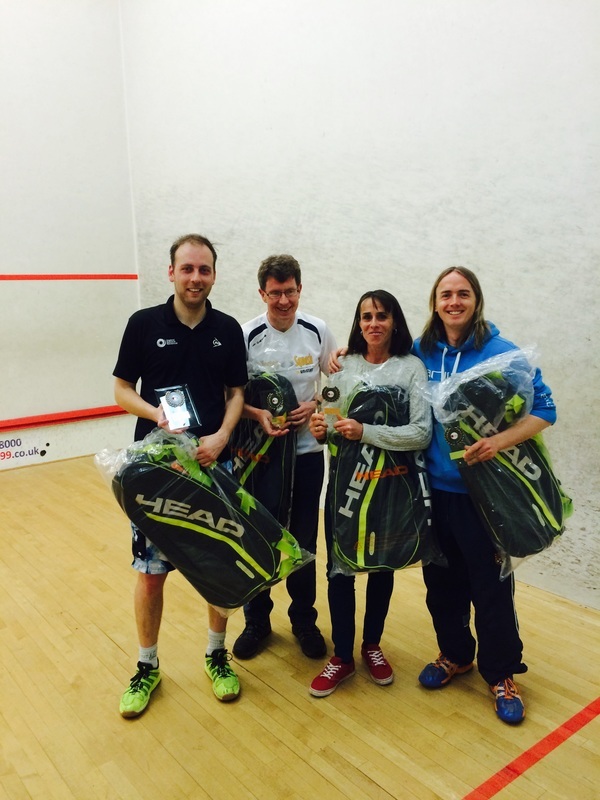 Northwest regional racketball closed winners. From left to right, men's open Andrew breen, men's over 50s Steve Bateman, ladies open Gail Struthridge , men's B grade Robbie fortune. 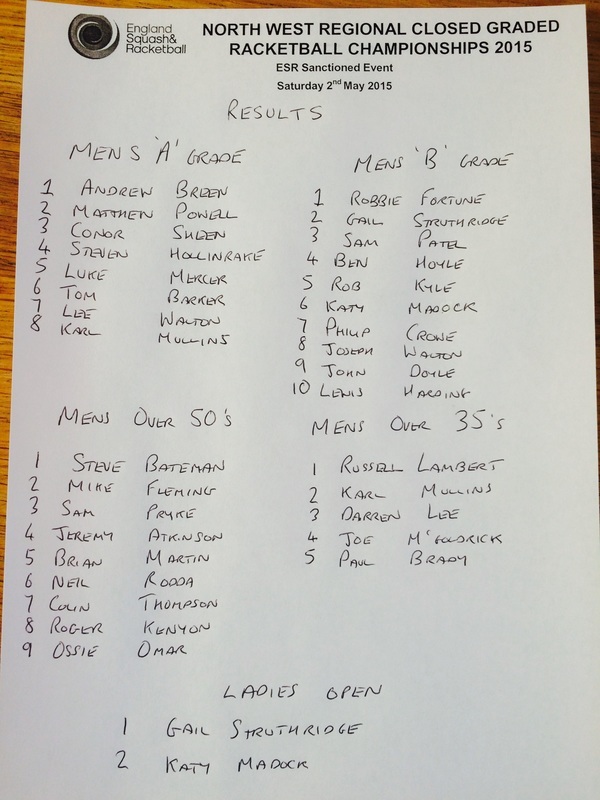 Men's o35s winner was Russell lambert not pictured.